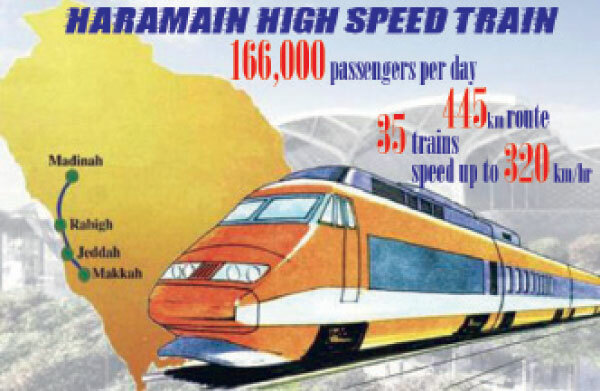 The Haramain Railway Project is one of the largest Railway project initiated in Saudi Arabia to ease the flow of Pilgrims and the time taken for them to travel between the cities of Jeddah, Makkah and Madinah. The Railway Project will also reduced traffic congestion on the roads of Jeddah and the Highway connecting Jeddah to Makkah. Along with the Railway Project, A new State of the art International Airport is also being constructed in Jeddah which will be linked with the Haramain Railway, while a New Airport in Madinah has already been opened in March 2015. The Airport in Jeddah is expected to open in late 2017. The Railway Network will consist of 5 stations, two of which in Jeddah, one in Madinah, one in Rabigh, and one in Makkah. There will be one station in King Abdulaziz International Airport, Jeddah for transporting pilgrims immediately to Makkah. The other one is for the citizens and residents of Jeddah, which will allow them to travel to Makkah hassle free. The cost of a one way trip to Makkah will cost around 20 SR. The Station in Makkah is being constructed about 3 km away from the Grand Mosque and bus shuttles will be provided for pick and drop at the King Abdullah Expansion of the Mosque, which in my view point will be good move as most of the pilgrims and vistors get tired to reach the Grand Mosque. Similarly a station in Madinah is being constructed to near the Holy Mosque to ensure quick arrival and departure from and to the Grand Mosque. Although it has not been confirmed yet but a shuttle bus service might be provided to transfer pilgrims to and from Madinah Airport. In Late 2015, The Saudi Railway Organization announced plans to connect the Capital City of Riyadh to the city of Makkah by constructing a Railway Network between the cities. 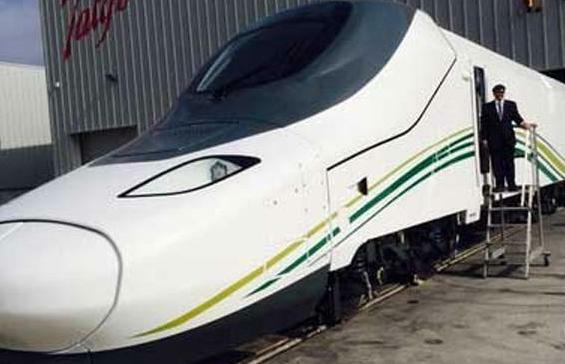 This move will not only connect these two cities, as there is already a Railway Network between Riyadh and Dammam (In the Eastern Provinces). This will ensure that the Residents in the Eastern Province will be easily connected between the Holy Cities and the neighboring countries such as Qatar, Bahrain, Kuwait and UAE can also benefit from this proposed future project.